Golden Gate Bridge... trying to find a different angle! 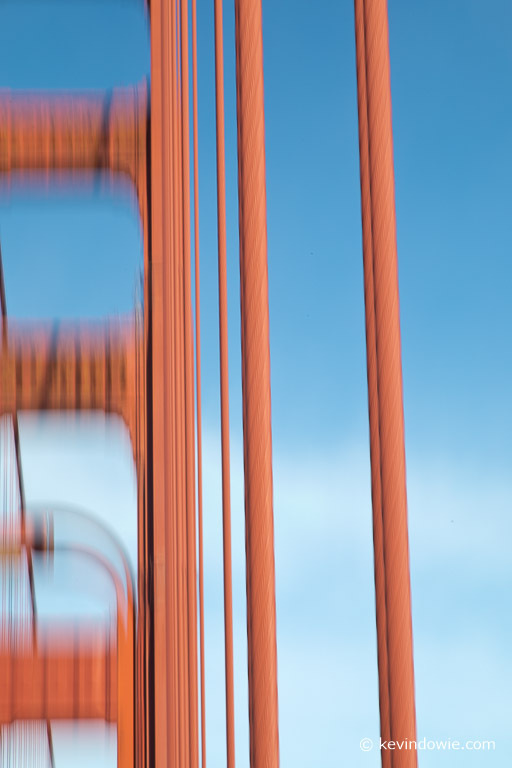 A visit to San Francisco's iconic Golden Gate Bridge presents a problem for the photographer. 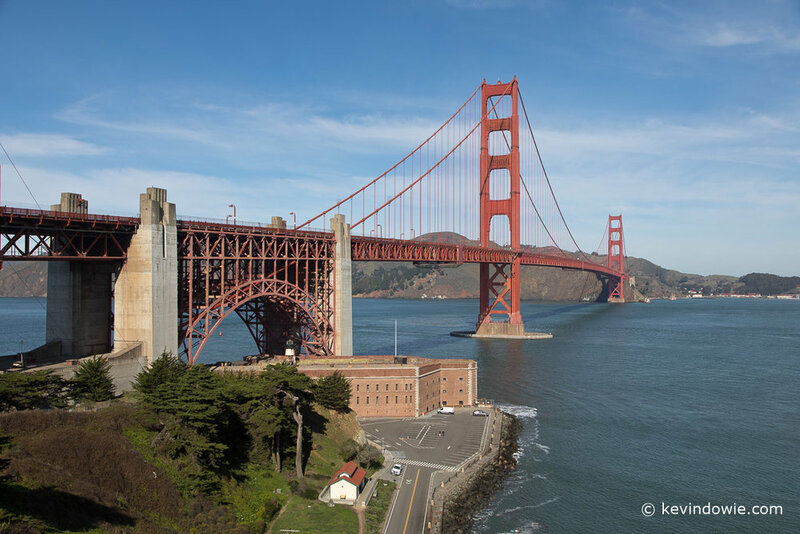 The bridge is visited by millions of people each year and has been photographed from every conceivable angle and in all light and weather conditions. Capturing something new or different is virtually impossible. During my visit the weather unfortunately was clear and sunny. I say unfortunately because the most interesting pictures I've seen from this location have made use of San Francisco's sometimes foggy weather. One of the "classic" bridge shots, nothing special but I'll use it here to set the scene. A more heavily processed image than my norm, intentional camera movement used but the structure is still readily identifiable. Perhaps less obvious, again deliberate camera movement was used and taking advantage of the red on blue colour contrast. Downtown San Francisco using only part of the bridge as a compositional device. ....to the online home of Kevin Dowie, Melbourne, Australia, based traveller and photographer. This blog focuses on my travels and photography, and as the tagline says is "focused on original content". My internet and blogging activities are entirely self funded and I am committed to providing an "uncluttered" website experience. Consequently, the site has no annoying pop-up pages, advertising, affiliate marketing or spamming. Many of the photographs featured in the blog are available for purchase or for commercial or editorial licensing. Click through to the Photo Archive for further details.